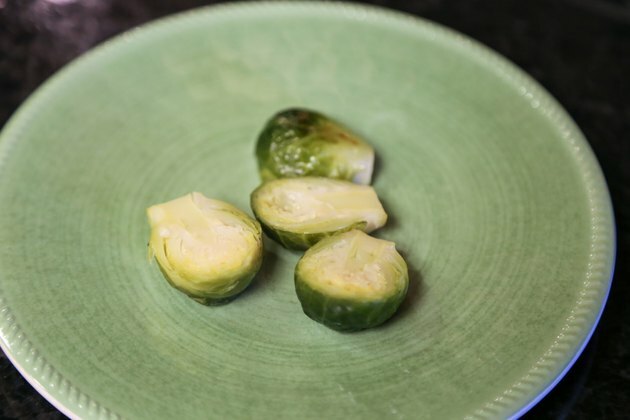 Regular, nutritious Brussels sprouts are visually appealing little vegetables; the small green rounds look like tiny cabbages. 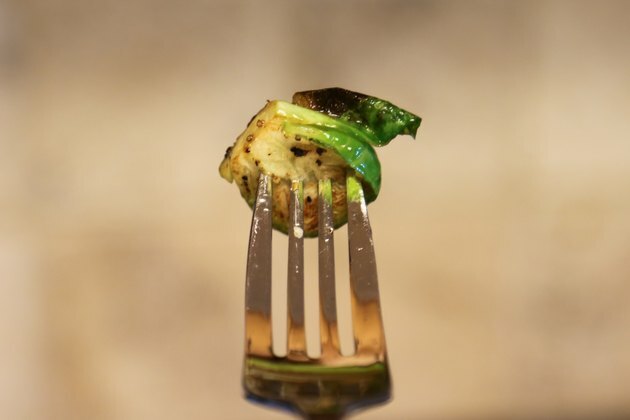 The slightly bitter flavor of Brussels sprouts, however, is often an acquired taste. Choosing smaller heads of the vegetable, no bigger than 2 inches in diameter, may increase the sweetness and appeal of the sprouts. 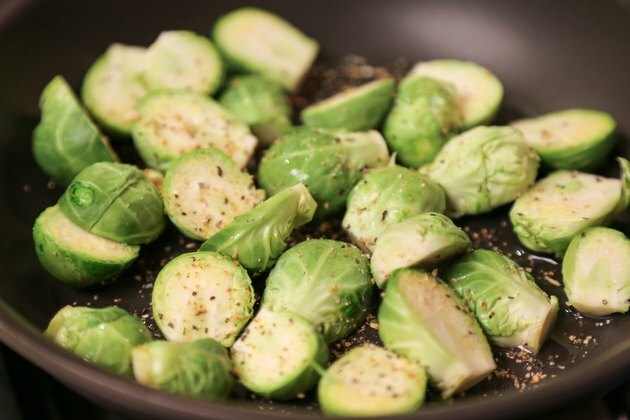 Cooking regular Brussels sprouts on the stove is easy and a healthy way to get your daily iron, fiber and vitamin C needs. 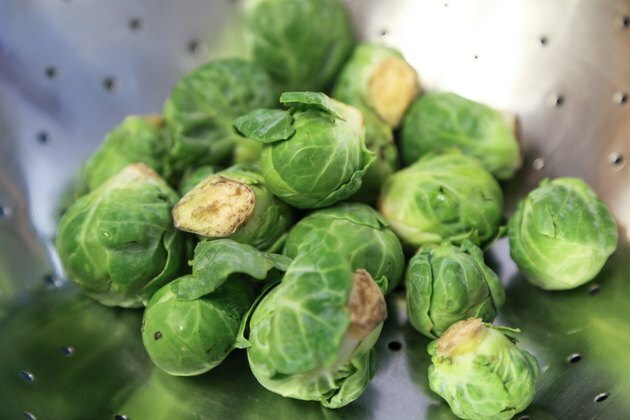 Wash the regular Brussels sprouts with water and remove any discolored or wilted leaves before cooking. Cut the Brussels sprouts in half to minimize the bitter taste of the vegetable. If you prefer the look of the whole vegetable, leave them intact but cut an X shape at the base of the stem end. The incision helps regulate the vegetable's cooking time so that both the inside and outside of the sprout will cook evenly. 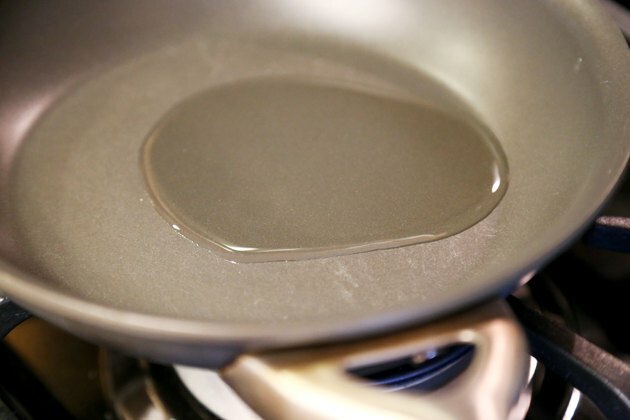 Pour water into a cold cooking pot. If boiling, add 1 cup water for each cup of vegetables. 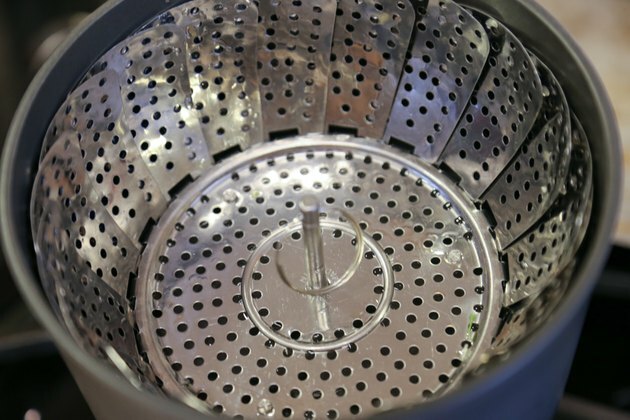 If steaming, place a steamer basket into the pot and add 1 to 2 inches of water. 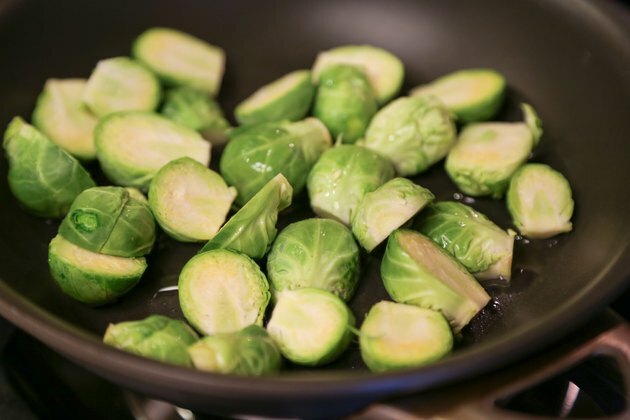 Boiling and steaming are similar cooking methods; however, steaming retains more of the nutritional value of the Brussels sprouts than boiling. Set the cooking pot on the stove on high heat and bring the water to a rolling boil. 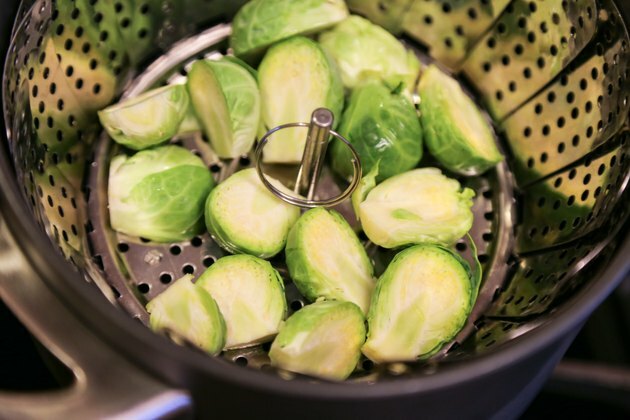 Add the sprouts to the pot or steamer basket and return the water to a boil. Cook the Brussels sprouts for eight to 10 minutes. 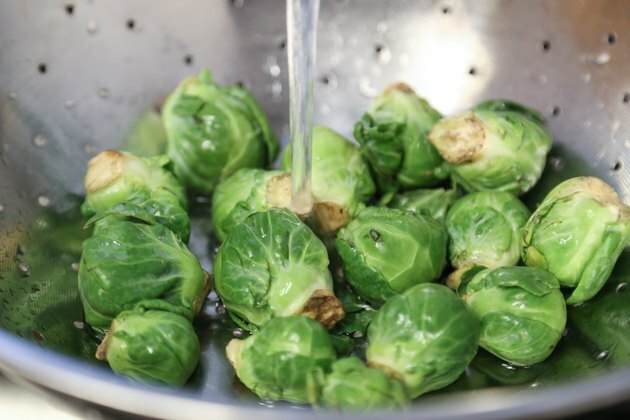 Drain the cooked Brussels sprouts or remove them from the steamer basket and run cold water over the vegetables to stop them from cooking further. Serve immediately. 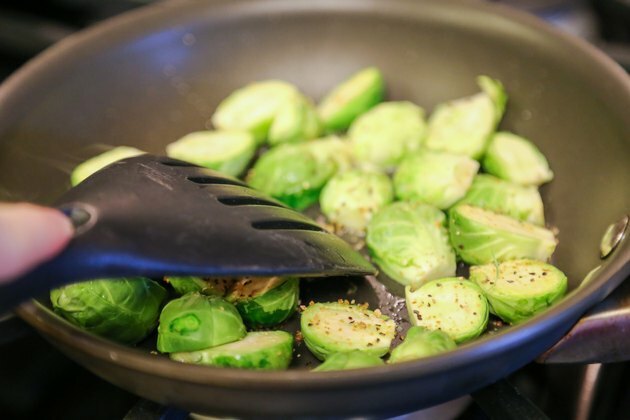 Place the washed and prepared Brussels sprouts into the skillet. Add spices or accompaniments as desired, such as onion, garlic, lemon zest or brown sugar. Stir the Brussels sprouts occasionally to prevent the vegetables from sticking to the pan and to encourage even cooking. Poke a knife or fork into a sprout to test for tenderness. 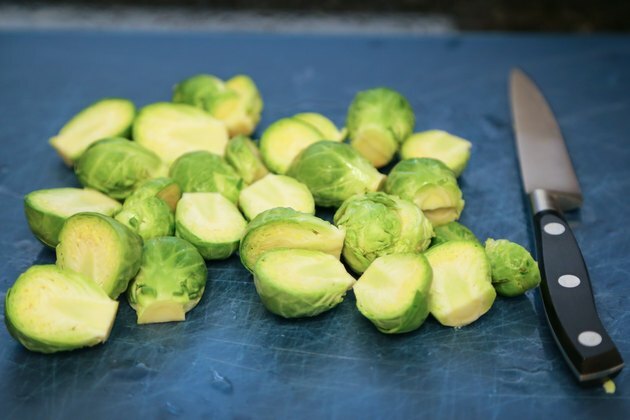 Remove the sprouts from the heat once your vegetables are to your desired taste. Sauteeing medium-sized Brussels sprouts may take between five and 15 minutes.